In the early days of the colony, getting a plot of land not too far from the mill almost guaranteed success. The industry allowed Île Jésus to develop during that period. The many mills built on the banks of the Des Prairies and Mille Îles rivers were the economic centre of the seigneury. Owned by the seigneur, they were used by the colonists to mill their crops, turning the grain into flour. But to have this right, the colonists had to make a payment to the seigneur in the form of money or a portion of their flour. The first mill was built at Saint-François-de-Sales in 1716. This attracted many colonists, who came to settle on the eastern point of the island. Although being close to the mill was important, most of the colonists preferred a large plot of land to clear. They settled west of Saint-François-de-Sales and other mills were soon built to meet the demand. 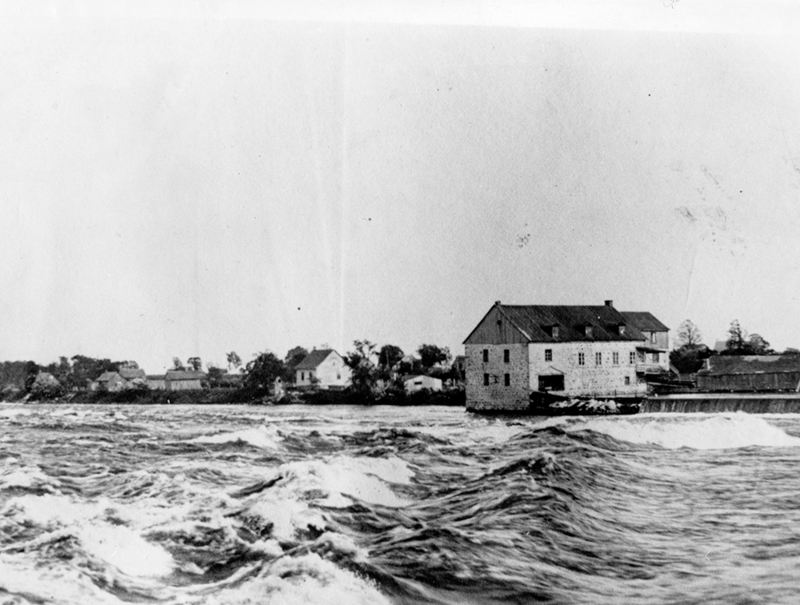 The Du Crochet Mill was built in 1805 on the Des Prairies River. Located in what is today Laval-des-Rapides, it was the best known of the mills. 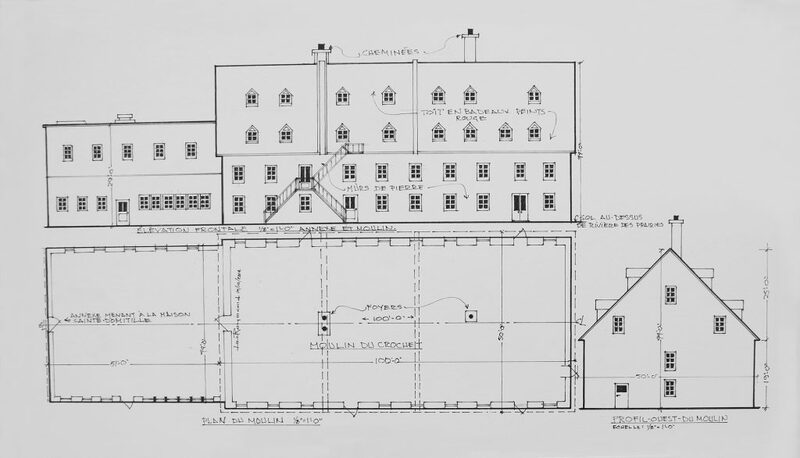 It measured 100 feet by 50 feet and was two and a half storeys tall, making it the biggest mill the Séminaire de Québec had ever built. The very high construction costs, which totalled 165,938 livres ancien cours, might explain why it served as the seigneurial manor until 1832. Most of the mills in the region were powered by the force of the water, turning the farmers’ crops into delicious flour! In 1890, the seminary sold its land to François Lavoie, who resold it five years later to the Sisters of the Good Shepherd. It was finally destroyed in 1930 by the Montreal Light, Heat and Power Company when the dam was built and the water levels rose. More than 10 mills were built on Île Jésus in total. For the seminary, they were the best way to make money. However, revenues dropped in the 19th century and none of the mills remain today.